Having an adorable pet at home is one of the easiest ways to relax after working all day. Also, owning a pet shows that you are responsible enough to keep another living creature safe. However, having a furry pet at home for some people is not a bad idea because of certain health conditions like asthma and allergies. Having a fish and some other aquatic animals as a pet can be a nice alternative to the furry animals. There are several benefits and great opportunities for you and your children can get if you buy a fish tank for your home. 1. It encourages learning. It motivates the kids to explore and know more about the world. For kids, there will be a wide visual stimulation which is really beneficial for the cognitive development of the little ones. Talk about what they see and make them recognize different animals. An aquarium is a great opportunity to further develop the vocabulary of toddlers through identification. Read out loud for them because it is an easy way for them to learn new words and you might also learn new things as well. Reading out loud is good modeling that encourages your kids to appreciate reading. Go beyond identifying the animals in the aquarium and discuss the similarities and differences of the animals. Touch tank in one of the special features made for the inquisitive ones. The eyes of humans certainly have several visual stimulations, but we can also get information through touch. For children, it is a great way to understand nature. Some aquariums can have varieties of aquatic animals like starfish, shrimp, hermit crabs etc. The physical presence of these animals provides an easy learning experience for children. 2. It improves imagination and creativity. Kids look at aquariums and they visualize a completely new different world. Aquariums sparks imagination, there are different life forms in the sea and having a fish tank is a great way to spark your kid’s imagination. The diverse colors, movement, and shapes can trigger the imagination of children. Owning or visiting an aquarium will help you and your children redefine what type of living creatures are in the sea. 3. It creates a sense of responsibility. Having pets and ensuring the well-being of the pets can have an influence on how children develop their social skills. If you have a child that love fish and other aquatic creatures, buying one for your child is a great starter to introduce a fish tank in your home. This will definitely make a great difference in the lives of your kids. 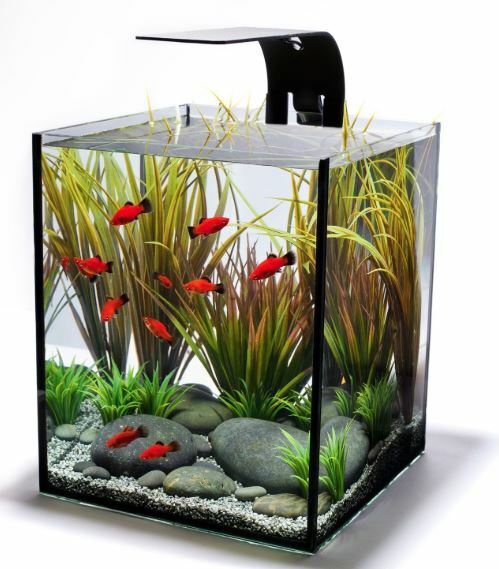 The fish tank for children is specifically designed for their satisfaction. 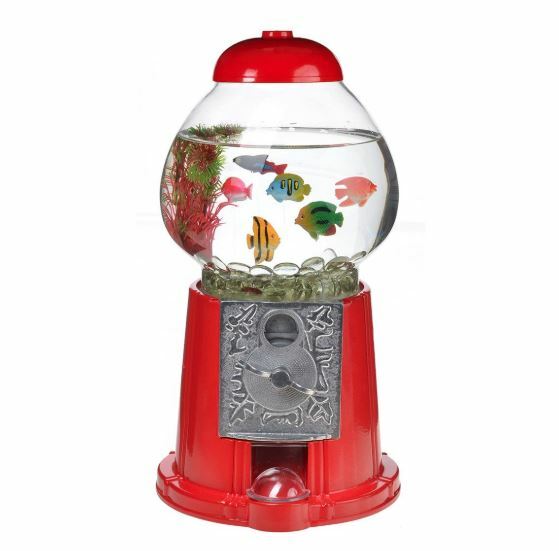 Get any of the kid-friendly fish tanks available in the market and you will be making a loving home for your children. As you can see there are many benefits of fish tanks for children! Have you ever noticed a relaxed or peaceful feeling when you are close to an aquarium? Perhaps the sound from the bubbly aquarium water drives you to a relaxing mood or helps eliminate the stressful thoughts that run through your mind. The health benefits of an aquarium much more than that. A research done by Plymouth University proves that individuals who spend a significant duration of time close to an aquarium get an improvement of their mental and physical health. In addition to improving moods, an aquarium can lower heart rates, high blood pressure, and other conditions. The wide competition and contemporary day living have caused the increase of everyday stress. This stress later leads to physical and mental disorders in the body. Since stress is inevitable, you can minimize it to lowest or healthy levels. A great way to achieve this would be to put an aquarium in your living room. When you watch fishes make their swift and slow movements in the aquarium, you will instantly experience a soothing effect, which is helpful for calming your mind. Also, the movements of fishes are hypnotic. This is important because it puts your mind at ease and it makes you overlook your everyday problems. If you have been experiencing regular stress and diseases associated with stress, then you should get a Nano aquarium and appreciate the health benefits of aquariums. Research by the University of Exeter’s European Centre for Environment and Human Health proves that the introduction of a fish tank in the home can reduce the blood pressure of the inhabitants. Certain people choose an empty, but extremely decorated aquarium to get the health benefits of aquariums. Nevertheless, aquariums with beautiful and active fish yield better outcomes than the empty ones. If the expenses of introducing an aquarium to your home are greater than your budget, you can also watch video clips of swimming fish to enjoy the blood reduction benefits. This is one of the major health benefits of aquariums which is not popular. Fishes can minimize body pain. Perhaps you’re wondering why most physician’s chambers and dental clinics have an aquarium. In addition to making the place look attractive and stunning; many patients have experienced reduced pain after staring at the aquarium for some minutes. Plymouth University also discovered that if an individual is suffering from anxiety, or even general colic pain, an aquarium with fishes will have an impact in reducing these conditions. An aquarium can induce a calming effect on the whole body, which is particularly true in infants. It helps babies sleep better at night. It is well known that getting quality and adequate sleep at night can make a grownup, or even infants, to wake up feeling better. This means the productivity of such adults will be improved during the day. Also, if you had a good sleep, your body can restore damaged tissues and get the body ready for the next day.